Welcome to our buying guide to help you choose the Best Concrete Saw. If we’re going to be realistic, there’s no sure way of telling which is the best concrete saw. There are a variety of tools designed for cutting into concrete, stone, and masonry. One could start out with a regular angle grinder. Sure, these power tools can use a masonry cutting disc to cut concrete, brick and stone. But they are certainly not the best. An angle grinder is a multi-purpose tool which has the advantage of versatility. You can cut more than just concrete with an angle grinder. Though the very fact that these machines have multiple applications means that they are not purpose-built for concrete, limiting their abilities. If we’re talking about the best concrete saws, we need to look at tools that are built specifically for concrete. Though chainsaws will be the exception here. Depending on the blade that you use, a chainsaw will be equally adept at cutting wood as it can when used to cut concrete. So when setting out to buy the best concrete saw, you first need to look at what your intentions are for the saw. So let’s start out by determining what the basic requirements are when looking for a concrete saw. Brand names with a reputation for quality is always an important consideration. As a concrete saw is designed for working in some of the toughest conditions this is of great importance. Buying a reliable machine from a brand that is going to offer backup and support for the lifetime of the machine is more critical than it would be if you were buying a less heavy-duty machine. 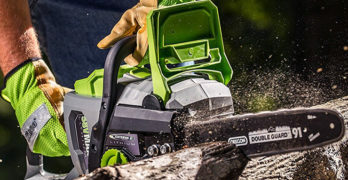 There are several brands worth considering and these can differ, depending on the type of concrete saw that you’re buying. For quality gas-powered equipment, Husqvarna is good name to trust and I’d rate Makita just as highly. 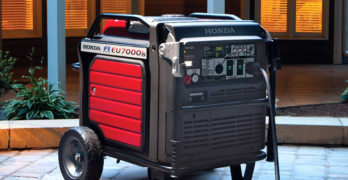 Among the corded electric and battery-powered machines, there a number of options. Makita is certainly one of the best. I would also consider brands like Bosch and DeWalt. Metabo can be a very expensive option, but many professionals swear by the brand. When it comes to a reasonable price and great quality, Hitachi manufacturers electric and gas-powered tools that are quite easy on your budget and provide a good level of robust design and build-quality. Portability may be a factor, especially for contractors who regularly transport the machine. Though here we need to look at the size and weight of the machine in respect to the type of work that you do. There’s little point buying a small, lightweight concrete saw when it’s not going to meet our expectations in terms of cutting depth and power. Wet cut vs dry cut is an important consideration. A wet cut concrete saw is always going to be the best. Using a wet cutting blade or disc is going to extend the life of the tool and water is excellent at suppressing dust. Since silicate dust is one of the biggest dangers when cutting concrete, stone, and masonry, a wet cutting tools is certainly advantageous. Of course, the benefits of wet cutting can only be utilized if you have a water supply where you’re working. A chain saw or a disc cutter? Chainsaws are big, heavy machines but they usually have a larger blade, so you can cut through a greater depth. A chainsaw also allows you to cut shapes, whereas a disc or circular blade only works in straight lines. Despite these limitations, disc concrete saws are the most popular. When using a diamond cutting disc, these machines make light work of cutting through hard concrete that may have been curing for many fears. They are relatively easy to use, thanks to their compact design and lower weight. Because these are the most sought after concrete saws, we’ll be reviewing only disc only disc concrete saws. All of these can accommodate a 14” disc that will allow you to cut through walls and floors with ease. 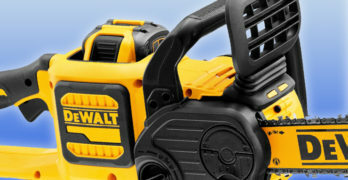 Gas or electric is a debate that often comes up when looking at power tools. Gas machines are generally more powerful than electric. Though they will always be on the heavy side and require more maintenance than an electric machine. Many people prefer corded electric concrete saws for their cost-effectiveness and ease of use. Though the power of a gas machine, combined with its ability to work anywhere, make gas-powered concrete saws the best choice for most of us. Gas will be your best option if you don’t have access to an electric outlet where you’re working. Now that you have a fair idea of what to look for, let’s take a look at your options. As I mentioned earlier, we’re going to be reviewing 14” disc concrete saws. These are the most commonly used concrete saws by both contractors and homeowners. With a 14” diamond disc you have the capacity to cut at a depth that meets most requirements. At the same time you have a machine that is easier to handle than a really big chainsaw. These are all gas-powered machines. Husqvarna K760 II (967181002) — One of the best gas-powered 14” concrete saws. Makita EK7651H MM4 —14″, 4-stroke engine provides many benefits. Hitachi CM75EBP — 75cc : Budget gas-powered 14” concrete saw. Underrated. Makita EK6101 — 14″, 61cc : Very affordable Makita concrete saw. These are all gas-powered concrete saws and this means that you’re able to use them anywhere, there’s no need to be close to an electric outlet. Because we’ve rated quality and dealership service as an important priority, they are not the cheapest that you’ll find. Though you could pay a lot more for similar machines from other brands. In the end, we’ve considered reliability and durability whilst also looking at a happy median when it comes to budget. The Makita EK6101 is the cheapest. Though the Hitachi CM75EBP is hardly any more expensive and is the most powerful of the bunch with an excellent level of quality. The Hitachi is probably the best value for money. Best-selling Husqvarna concrete saw. A wonderful balance of price, power and reliability. Easy to handle and low vibration technology makes it engineered to make your life easier. This is considered a ‘Classic” concrete saw. Well-balanced, powerful & affordable. Updated and improved cylinder & digital ignition system. Updated and improved blade guard and wet cutting system. SmartCarb, has an innovative built-in automatic filter compensation which maintains top power and reduces fuel consumption..
DuraStarter : Patented, dust sealed starter unit. Return spring and pulley bearing are fully sealed. EasyStart : 50% easier starting. Reduces the compression in the cylinder during starting. Reversible cutting arm enables you cut closer to walls or the ground. Fully sealed transmission, which keeps out the cutting dust. Fuel indicator on the tank. Poly-V belt, for better transmission of power, longer product life and extended service intervals. Larger muffler which means 25% less noise. Anti-vibration system : reduces vibrations in the cutter handles. Vibrations below 2.5 m/s2 in the cutter handles for more comfort and longer operation periods. Optimized engine performance through efficient cylinder design, digital ignition system and X-Torq engine technology. Easy to change blade guard position : Light magnesium blade guard facilitates cutting, thanks to its step-less adjustment. Less slurry and low water consumption : Excellent dust control with the wet cutting kit. A progressive water valve for exact adjustment of the water volume to efficiently bind the dust and reduce slurry. Fits multiple blade bushings : Blades with 20mm and 25.4mm bore can be fitted thanks to the reversible blade bushing. New DualCharge engine technology provides more power, lower fuel consumption and greatly reduced emissions. Blade retarder : Reduces the stop time of the blade when the machine is switched off, which enables you to quickly move on to the next job. Cuts close to walls or ground : cutting arm is reversible which lets you cut closer to walls or the ground. Active Air Filtration : two-step filtration system with centrifugal cleaning and a single paper filter increases product life and extends service intervals. EasyStart : EasyStart ensures easier starting by reducing the compression in the cylinder. Poly-V belt : Provides better transmission of power, less frequent re-tensioning and extended service intervals. SmartCarb : built-in automatic filter compensation maintains high power during the air filter life time. Adjustment to openings : Cutting for minor adjustments to window and door openings. 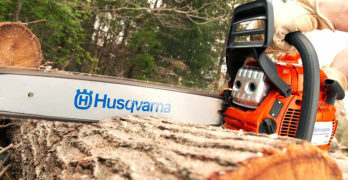 If we’re going to set a benchmark for the best gas-powered 14” concrete saw, Husqvarna would be a good place to start. Whilst not the cheapest brand on the market, they are not the most expensive either. You’re paying for a high-quality machine though, in my opinion, it’s not too expensive for what you’re getting. There’s a certain degree of comfort that one can take when buying a Husqvarna product. They have a reputation for excellence. The 73.5cc, 2-stroke engine used to power this concrete saw is designed to cope with the demanding conditions that it will encounter. You have to mix oil and fuel, so it’s not as convenient as a 4-stroke engine. But when it comes fuel efficient and hassle-free operation, it’s going to be to a tough job to improve on this 5 HP powerhouse. To keep this engine reliable, no matter what it’s exposed to, it has digital ignition and a built-in filter compensation Smart Carb. Along with this, it has a decompression valve and air-purge system that makes it effortless to start. The engine uses a DualCharge system to reduce fuel consumption and provide excellent emission level ratings. From what I can tell, it recycles unused fuel back into the carburetor, ensuring that every drop is gas is maximized and not discharged into the surrounding environment. 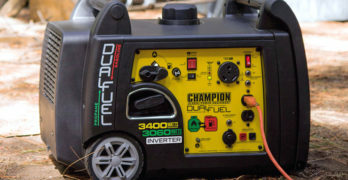 The DuraStarter, is a fully enclosed recoil starter unit that won’t be affected by dust. It is, therefore, ultimately durable and incredibly reliable. Active Air Filtration has been used to reduce debris collecting in the air filter. Unlike so many gas-powered machines, you don’t need to check the air filter continuously. All of these factors, and the inclusion of an ultra-strong poly V-belt drive system, drastically reduces your maintenance costs and downtime. Using the Husqvarna K760 II is about as easy and comfortable as it gets. Vibration levels at the handle have been reduced to a minimum (2.5 M/S²). An impressively low weight of 20.7-pounds and well-positioned handles add to the ease of use. This is by no means a quiet machine, but in the context of gas-powered concrete saws, it’s one of the best in terms of tolerable noise levels. The guaranteed noise level reading is 115dBA, with an estimated noise level of 101dBA at the user’s ear. While this is very reasonable for a tool like this, OSHA recommendations are that the operator uses ear protection – this would be the case for any machine generating a noise level of 85dBA or more. Among the many user-friendly features, the Husqvarna K760 II has a constant flow water supply system with a control valve. This allows you to supply a regulated flow of water to the cutting blade that matches your working conditions. You can achieve your optimum dust suppression level whilst controlling the slurry. You’re able to use either a 12” or 14” cutter, giving you a maximum cutting depth of 4” – 5”. Things are simplified by the fact that it has an adjustable cutting arm and blade guard. It’s much easier to cut window and door openings with this saw. It’s also brilliant for pipe cutting. Whether you’re cutting through tough concrete, asphalt, ceramic, porcelain, hard stone, or brick, the mighty Husqvarna is up to the task. It has a host of user-friendly features and is designed for the best standards in durability and low-maintenance. Combine all this with the stellar Husqvarna reputation for customer care, and you have a winning combination if you ask me. It is backed by a 1-year warranty. Shielded exhaust outlet and larger spark arrestor screen. I’ve always considered Makita as one of the best tool brands. So if you’re looking for a worthy competitor for the Husqvarna K760 II, it has to be the Makita EK7651H MM4. This too is a powerful 14” concrete saw and is basically the same price as the Husqvarna. The Makita is certainly every bit as durable with many of the same dust-inhibiting design features. It is also very easy to use. Many may prefer the 4-stroke engine used for this concrete saw. It doesn’t require any mixing of oil and fuel and has exceptionally low noise levels – only 92.7dB. The Makita 4-stroke EK7651H engine is nothing short of exceptional. Producing 4.1HP, it may not have quite the same power output as the 5HP Husqvarna, but has a very good REV range, up to maximum 9100 RPM. This is geared to a very usable 4300 RPM at the spindle with heaps of torque. They’ve taken just about every measure to make this one of the most durable engines around. This includes 3 piston rings and an ingenious oil separation and lubrication system that reduces engine and valve wear. The engine runs incredibly smoothly with astoundingly low fuel consumption – only 0.45-gallons per hour. Fitted with a pretty small 37-Ounce gas tank, it will run for about 35-minutes continuously on a tank. Even though this is a reasonably light machine, weighing only 28.3 LBS, I doubt many folks will work for 35-minutes without stopping to readjust your position or rest your arms. So the balance between a low fuel weight and decent runtime seems very reasonable to me. Like the Husqvarna, the Makita has a completely sealed recoil starter for perfect reliability, long-term durability and zero maintenance. It also has an excellent 5-stage air filtration system that works in tandem with Advanced Direction Air Flow which reduces the amount of times that you need to clean air filter. This also increases engine performance and durability. Whilst I don’t have vibration measurements for the Makita EK7651H MM4, it must be one of the most comfortable concrete saws to use for long periods of uninterrupted work. This is thanks to generous padding on the handles and four rubber buffers that absorb the vibration. Guide wheels that can retract when not in use are another user-friendly aid to make your job more pleasurable. The quick-pull recoil starter, air purge system, automatic valve decompression, and an excellent vented choke that reduces flooding on cold starts, make the Makita a breeze to start, even on those dreaded cold mornings. The cutting arm is easy to adjust and you can adapt to every working situation without wasting time with complicated adjustment procedures. It includes a water kit for dust suppression with a quick-connect fitting that is adaptable for most common threads. Choosing between the Husqvarna K760 II and the Makita EK7651H MM4 would be an incredibly tough call. These are both top-notch concrete saws that can be considered the best in their class. Both are as durable as they come, with advanced engineering to improve both the lifespan of the machine and ease of use. The Makita is about 8-pounds heavier, but is probably just as nimble to use. On the other hand, it’s quieter and, if you prefer a 4-stroke engine, the Makita would be the obvious choice. It’s also noticeably quieter than the Husqvarna. The standard Makita 1-year warranty and 30-day return or replace guarantee applies to this product. Fuel Tank Capacity : 37 oz. Dry Weight : 28.3 lbs. 75cc 2-Cycle Gas Powered Cut-Off Saw. Best concrete saw for the money. Great value. 75cc New PureFire Engine : engine meets U.S. (EPA PHASE3) and European (STAGE2) emission standards. Exhaust Pulsation Muffler increases charge efficiency and power, and reduces fuel consumption. The pressure waves reflected in a brunch of the muffler pushes the outgoing fresh mixture flow back to the cylinder. That increases charge efficiency and power, and reduces fuel consumption. And emission levels are significantly reduced by preventing fresh mixture from being exhausted. Compensator delivers stable power. A compensator keeps the mixing ratio between air and fuel (air-fuel ratio) constant. It prevents the air-fuel ratio from varying due to a clogged air filter and delivers stable power. Metal Cover Plate Equipped with a replaceable metal cover plate to protect the arm cover from cut materials and the like. Metal Lower Guard and Metal Front Foot Plate Protect the main unit from cut materials and the like. Tool-less Detachable Pre-filter. A tool-less detachable cleaner box makes it easy to clean the pre-filter. Tool holder Keeps standard wrenches on the machine, preventing losses of them. The Hitachi brand may not be held in the same high regard among consumers as Makita or Husqvarna. Though, for the spend-thrift buyer, this a good thing because it means they don’t charge a premium for the brand prestige. The Hitachi CM75EBP is a good deal cheaper than the previous two concrete saws that we’ve reviewed. Yet I can’t really see how it is in any way inferior. This is, as with all Hitachi tools, a tough piece of machinery. Like the other two, it’s built for durability, low maintenance and has user features to match any of the more expensive alternatives. All this makes the Hitachi concrete saw an absolute bargain. The low-emission, very fuel-efficient engine can compete with the best of them. The Hitachi CM75EBP is powered by a great 75cc, 2-stroke engine producing 5.2HP with a very respectable 4200 RPM maximum spindle speed. By using an advanced exhaust pulsation muffler, they’ve managed to achieve a fuel consumption spec to match any of the best modern engines. It is EPA III compliant, though I see no mention of CARB certification. It would be nice to see more information from Hitachi. This is an expensive tool and they should list absolutely everything about this product. A focus on durability is obvious throughout, with tough steel covers everywhere and, like the previous two, it has a sealed recoil starter that won’t give up the ghost in a hardworking environment. It uses both a paper and a nylon air filter for great air quality without much filter cleaning. Though it doesn’t appear to use the advanced airflow technology used in the Makita and Husqvarna concrete saws. This may mean that you’ll need to check the air filters more frequently than you would with the other two. It is just as easy to start, using a decompression valve and air purge bubble to help with this. Vibration and noise levels can compete with the very best concrete saws. Using ISO compliant measurement techniques, the vibration at the front handle is 2.4 M/S² and 2.9 M/S² at the rear handle. Gripping positions are well spaced and it’s a comfortable machine to use. Though it’s slightly on the heavy side. Without fuel or the cutting wheel, it weighs 23.4 LBS. But when you add the cutting wheel, fuel and accessories, this will mean a realistic working weight of around 30 LBS. Noise levels fall within a very reasonable margin of 99.5dBA to 115dBA, depending on the method of measurement. The water pipe connection has a quick-coupler fitting and a very durable ball-valve to control the water flow. They’ve done a fair job of making it easy to maintain, this is clearly apparent in the easy to remove tool-free air filter cover. So, when it comes down to it, you’re getting just about all the features that you’d find on the more expensive machines at a reduced price. Yes, the Hitachi may heavier than the other two, but it is just as durable. It looks to me that the Husqvarna and Makita saws make more use of aluminum. This does reduce the weight, but pushes up the price. So it’s a small compromise to make, when saving a few hundred dollars. I’m sure there are a lot of people who are prepared to overlook this in favor of that kind of saving. Efficient 61cc engine with a full 4.4 HP for the most demanding concrete cutting applications. Best concrete saw if you need a powerful yet lightweight tool that will cut through concrete with ease. Excellent range of features to make your life easier. Recovers up to 75% of unburned fuel to reduce fuel consumption. Ideal cutting solution for metal decking, angle iron, i-beams, cast iron pipe, brick/masonry, stone/concrete blocks, railroad rails, road curbs, and asphalt. It’s seldom that a Makita product is the cheapest model in a review lineup. The Makita EK6101 is a few dollars cheaper than the very reasonably priced Hitachi CM75EBP. Though, while this Makita concrete saw can accommodate a 14” cutter like all the others, it’s the least powerful and doesn’t have many of the sophisticated design features as the more expensive Makita model reviewed above. If you’re sold on the Makita brand (like so many are) and don’t have too much to spend, this affordable concrete saw will certainly be a delightful find. Though, if you’re looking at what you’re getting for your money, the Hitachi is probably better value. It’s more powerful and has more features. As a die-hard Makita supporter, I would have tough time choosing between the more capable Hitachi and the slightly cheaper Makita EK6101. The Makita EK6101 has a distinct advantage over the all the others in terms of weight, a mere 19.6-pounds. This is due, in part, to a smaller 61cc two-stroke engine that delivers 4.4 HP. What you gain in a lower weight spec, you lose in cutting power. It can take a cutting disc up to 14”, giving you a very good 5⅛” cutting depth. This is achieved by using a smaller hub and drive wheel assembly. Even though you have the best cutting depth out of all the concrete saws in this review, the Makita EK6101 may not always be able to cope with seriously hard material as it doesn’t quite have the power to match the others. The REV capability of this engine is good at 9850 RPM, giving you a spindle speed of 4400 RPM. While the engine is, as with any Makita tool, a very durable and efficient machine, it is not quite as sophisticated as the 4-stroke unit used in the Makita EK7651H. It has a very competent Air Scavenging fuel saving system, recovering about 75% of all the unused fuel from the exhaust gasses. It also has a cyclonic air intake to reduce the debris collected in the air filter. It doesn’t have the same 5-stage air filtration system as the more expensive model and this will mean more frequent filter cleaning. It’s a real winner when it comes to noise levels – only 97dBA. The Makita EK60101 has comfortable padded handles, but cannot match any of the others in terms of low vibration levels. It has sliding engine mounts that absorb some vibration, but this has nowhere near the same type of vibration dampening capabilities as any of the other concrete saws in this review. Though the lower weight and compact design does compensate for this, to a certain extent. The water system is also quite basic, you attach a hose directly to a nozzle fitted to the blade guard. So you have no control over the water flow at the machine, you’ll have to do this at the supply source. Another feature that you won’t find on this model is guide wheels. The Makita EK60101 is their entry level 14” gas-powered concrete saws. So the obvious lack of sophisticated features is to be expected. Though the low weight and compact design is a big advantage. It is still a Makita machine which means excellent durability, with mostly aluminum parts. Best of all, it’s cheaper than any of the other concrete saws that we’ve reviewed here. Fuel Tank Capacity : 23.6 oz. Dry Weight : 19.6 lbs.